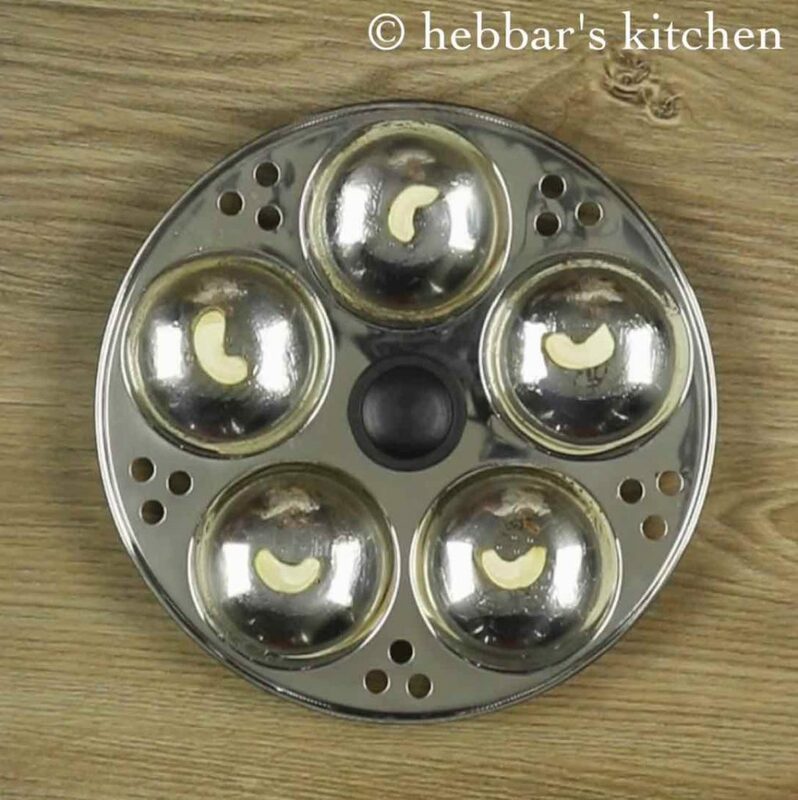 semiya idli recipe | vermicelli instant idli recipe | rava semiya idli recipe with detailed photo and video recipe. 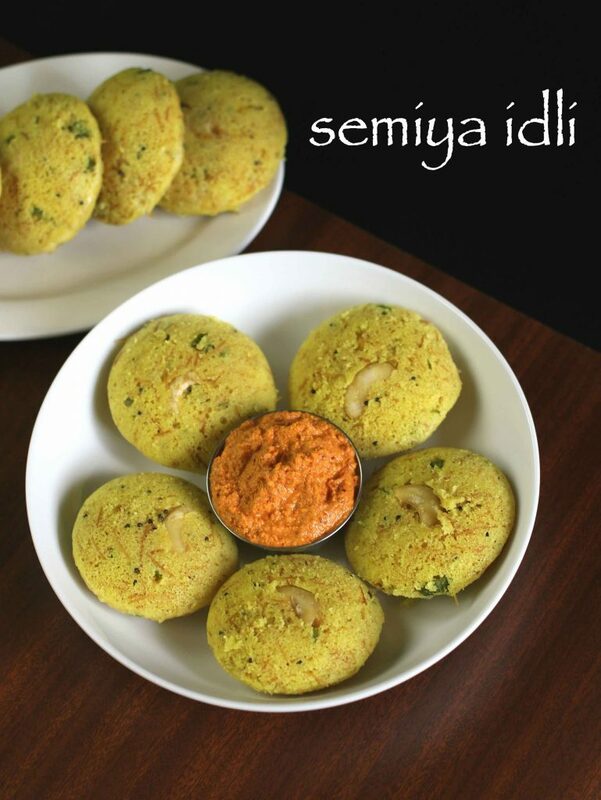 an easy and healthy instant version of idli recipe prepared by mixing roasted semiya and semolina with yoghurt/curd. 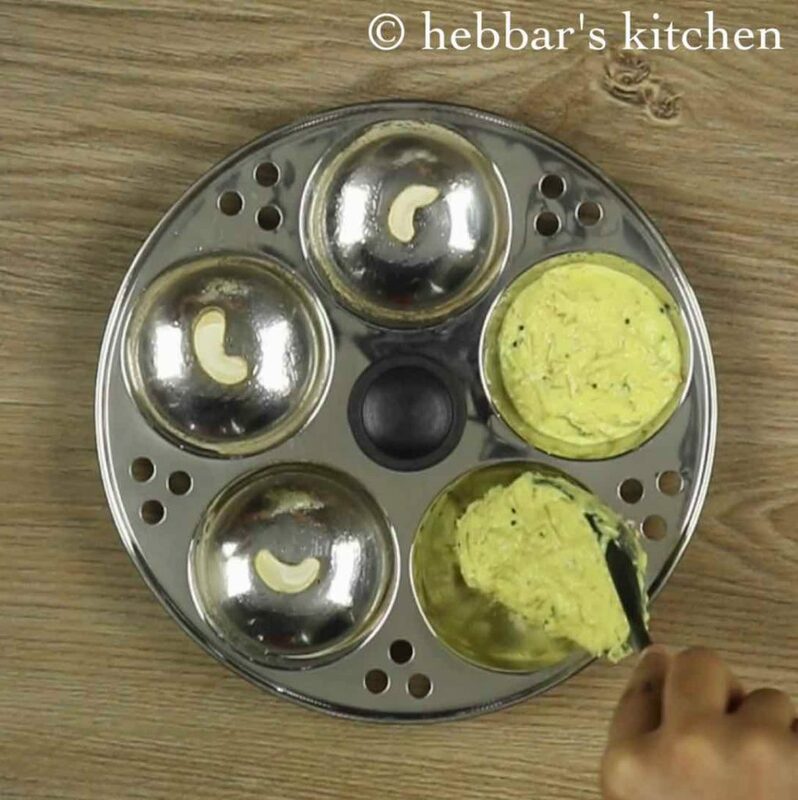 these healthy idli’s can be easily served eaten with any choice of sambar recipes and chutney recipes. 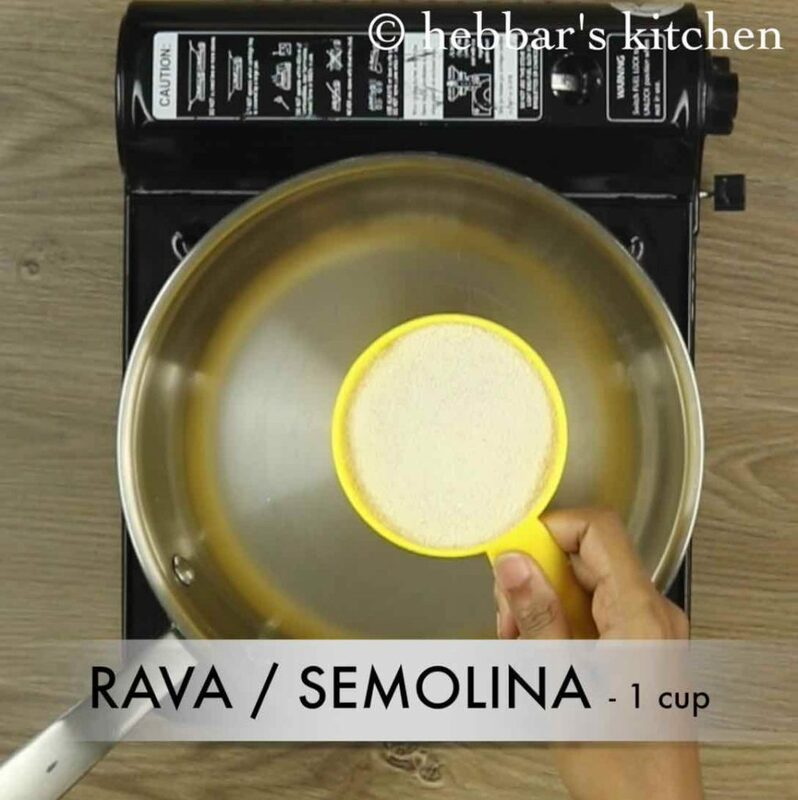 semiya idli recipe | vermicelli instant idli recipe | rava semiya idli recipe with step by step photo and video recipe. 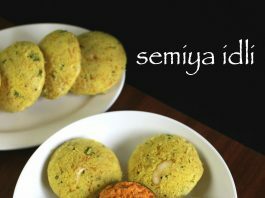 a popular instant version of idli recipe prepared very similar to rava idli but with the combination of rava and semiya. 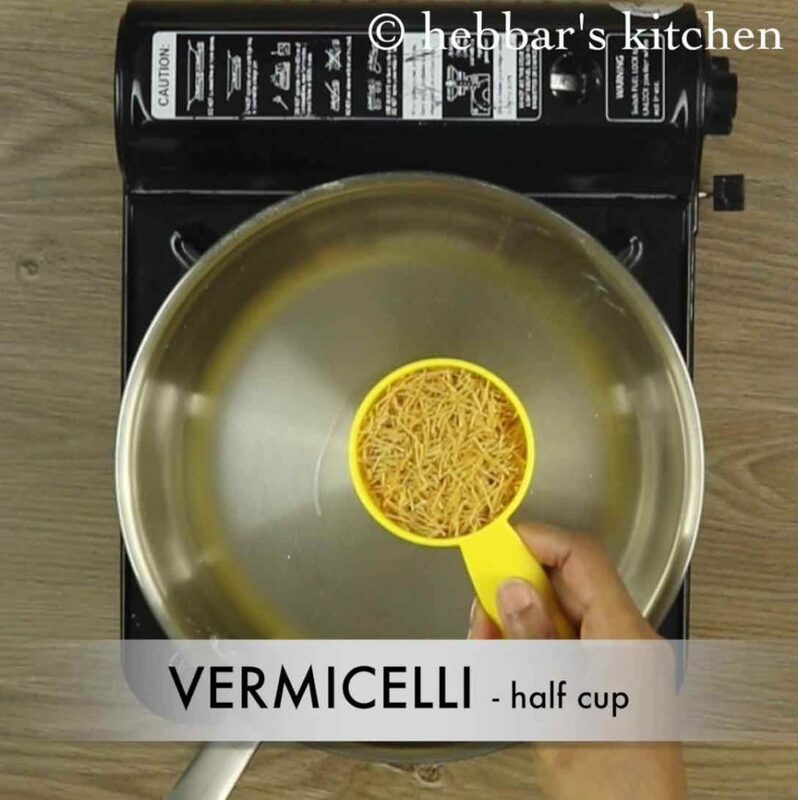 in other words, semolina and vermicelli is mixed together with curd to form a thick idli batter. later this is steamed and cooked in a normal idli cooker to a fluffy idli. 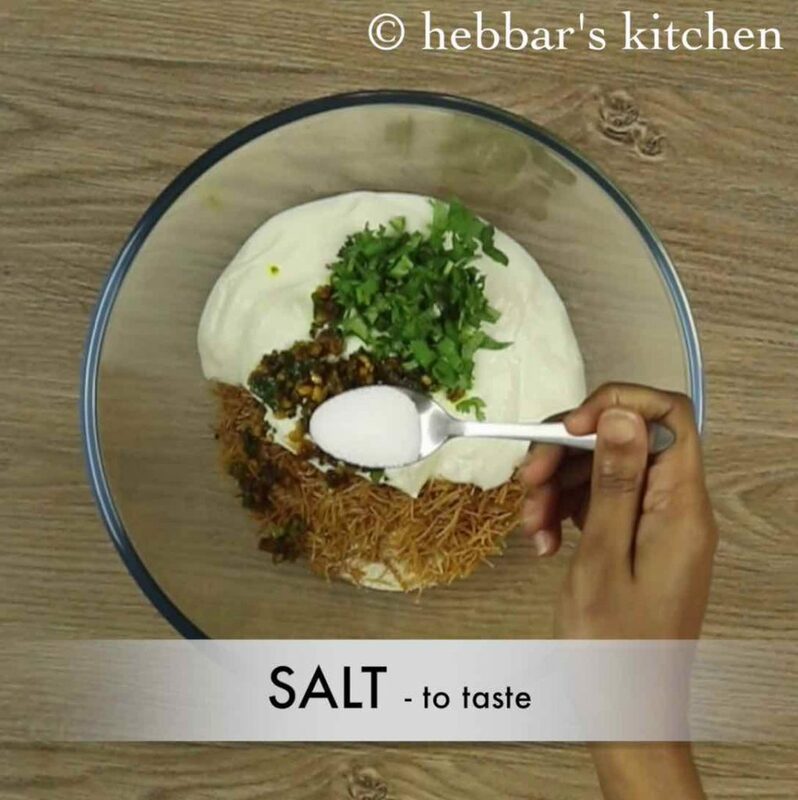 it has been a long time and i had not shared any variation to my idli recipes collection. also i was having some unused vermicelli and my husband is not a great fan of vermicelli upma. hence i thought to share some unique idli recipe this time with semiya and i decided to prepare semiya idli recipe. 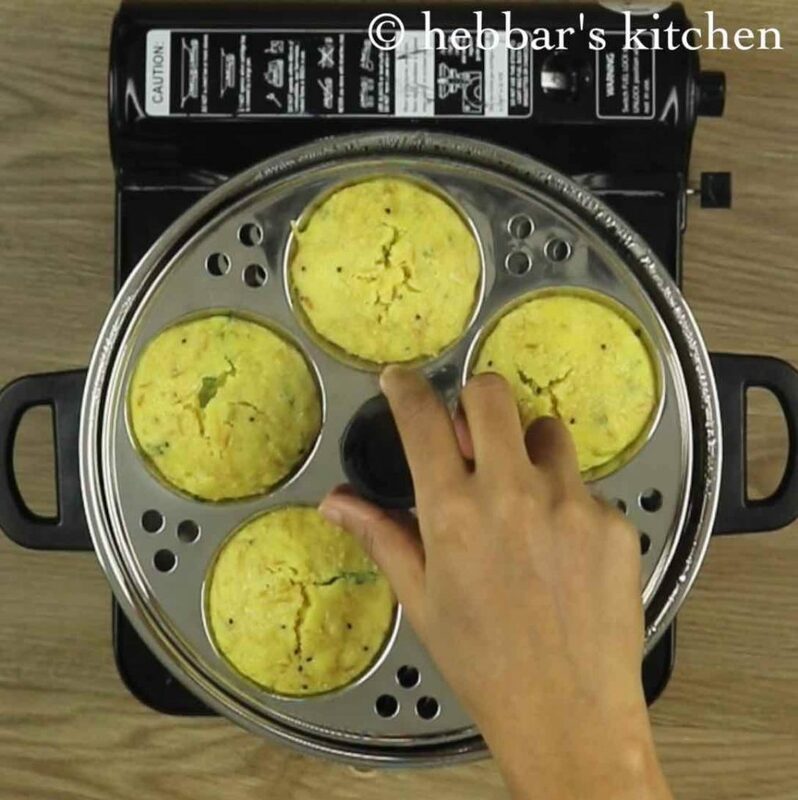 i have prepared this recipe very similar to my previous post of instant rava idli recipe. 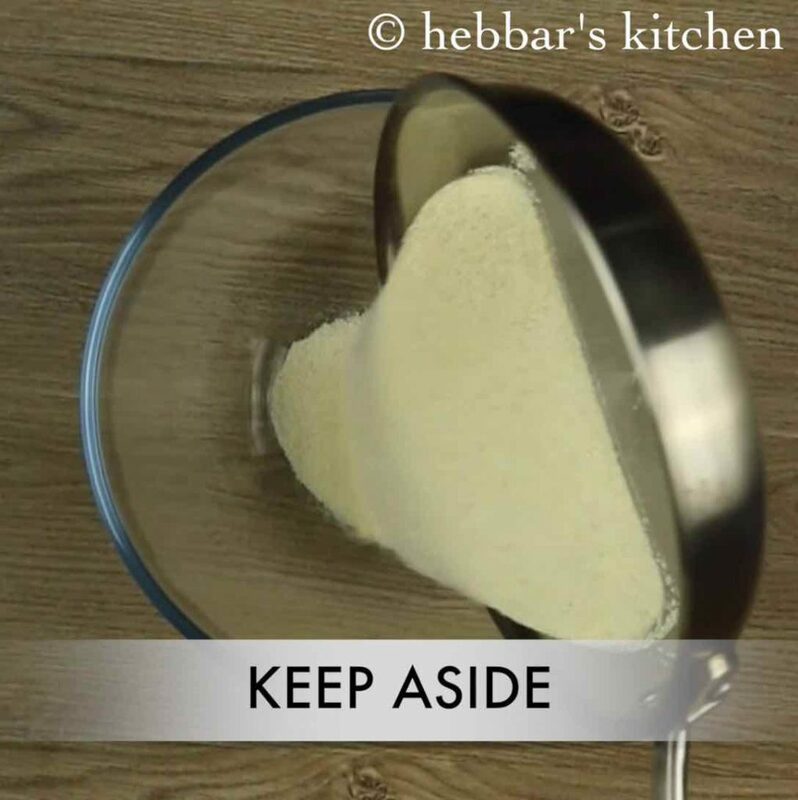 even though the preparation of the semiya idli recipe is extremely simple, but few tips and suggestion to make it more perfect. firstly, i have used baking soda to hasten the fermentation process. however if do have a sour curd, baking soda can be completely ignored. secondly, before using semolina and vermicelli i have roasted them to golden brown. 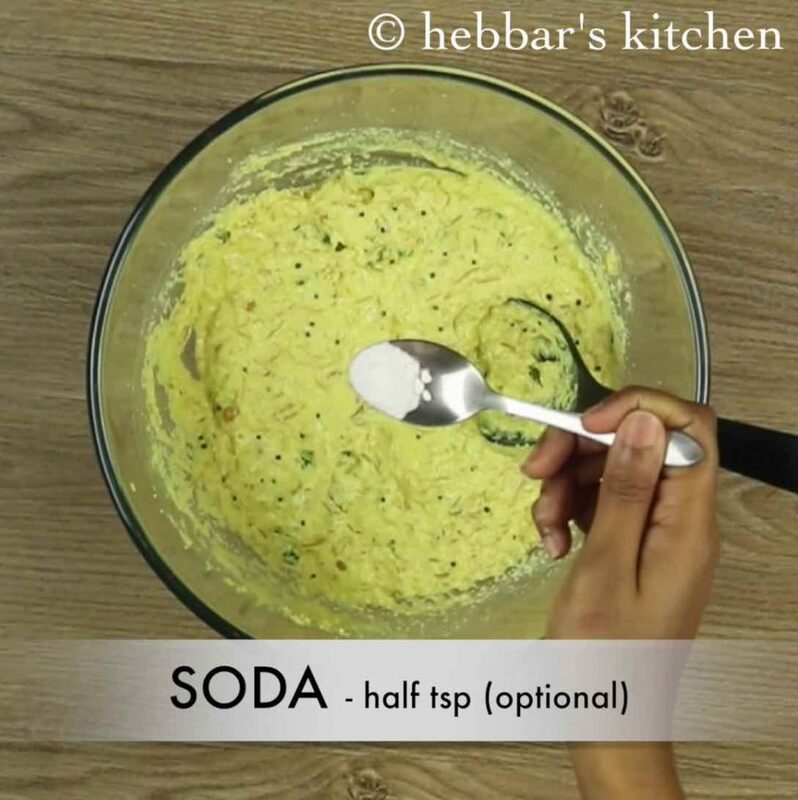 to skip this step you can use store bought roasted rava and semiya. lastly, these simple idli can also be extended by adding grated carrots, green peas and onion. firstly, dry roast rava on low flame till they turn aromatic. furthermore, roast semiya with a tsp of oil till they turn crisp and slightly golden brown. 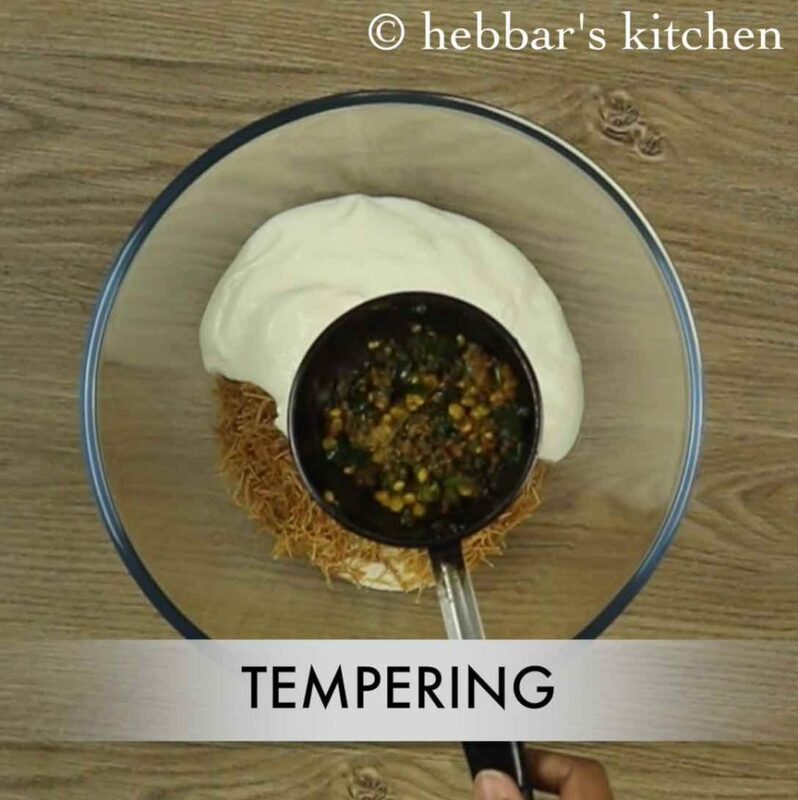 meanwhile, prepare the tempering by heating oil, mustard seeds, urad dal, chana dal and hing. 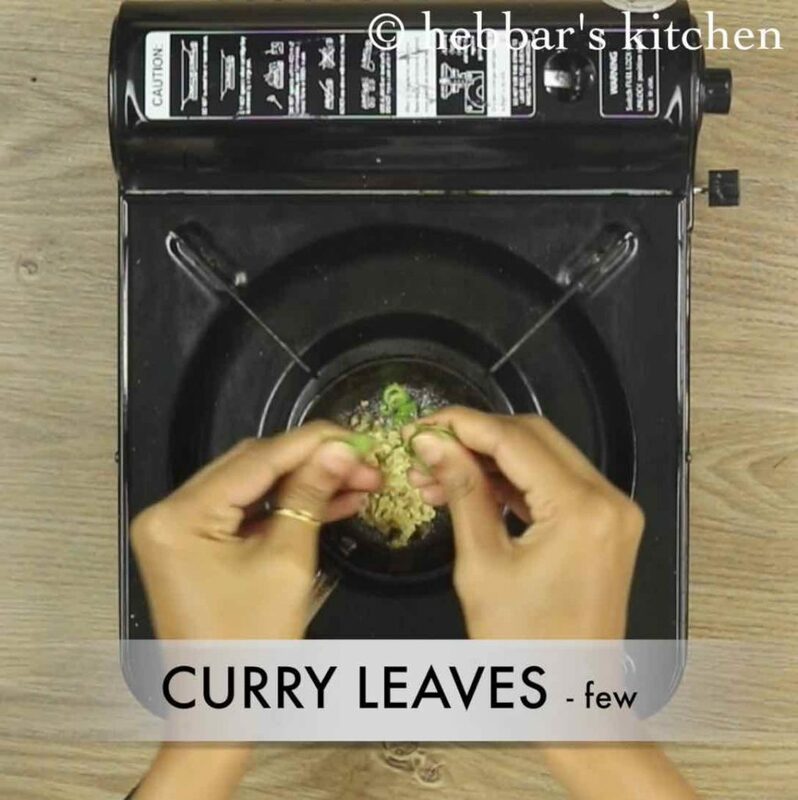 also add green chili, ginger and curry leaves. 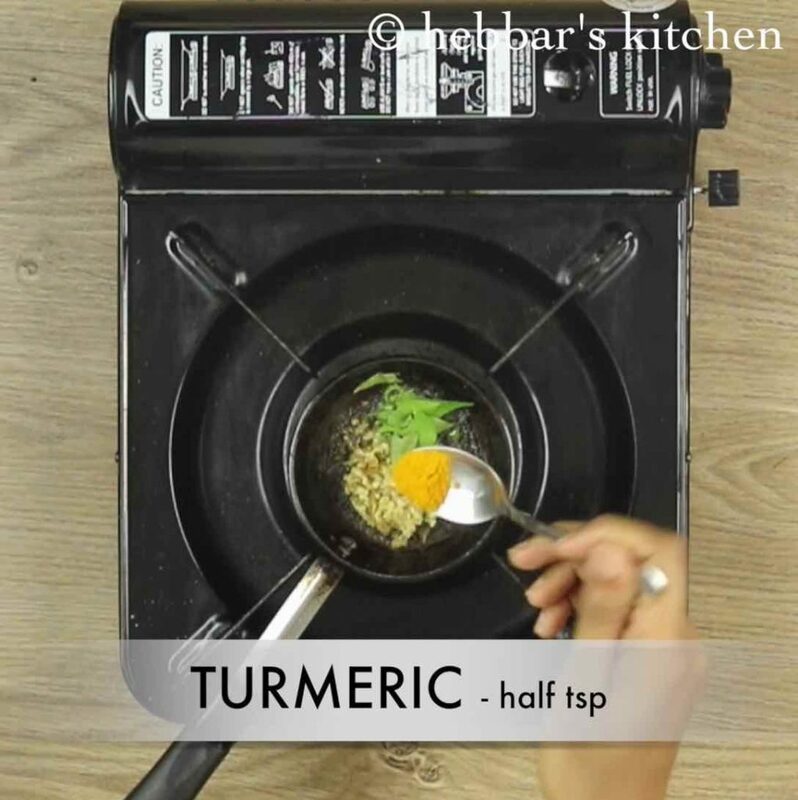 additionally add turmeric and saute till it splutter. pour the tempering into the same bowl. 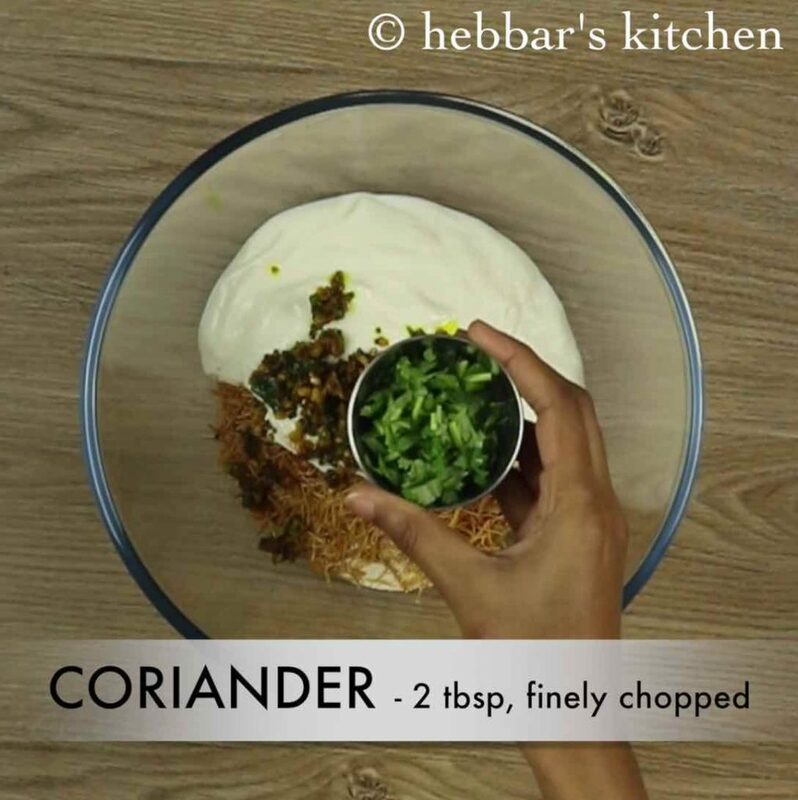 also add coriander leaves, salt and mix well. furthermore, add water as required and mix well. 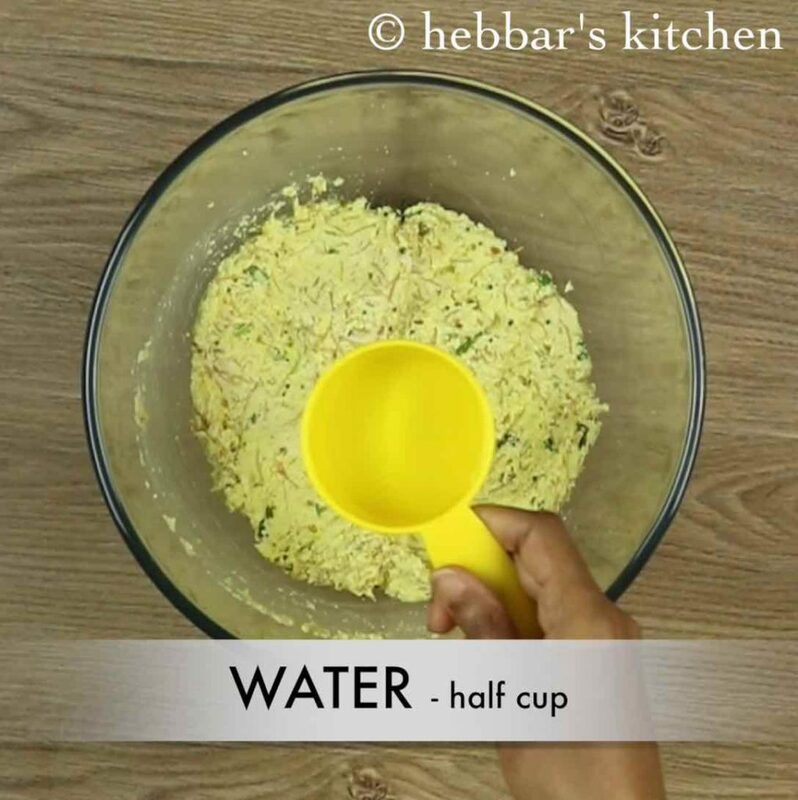 pour the batter immediately into the idli plate. do not rest the batter. transfer to a large mixing bowl, and keep aside. 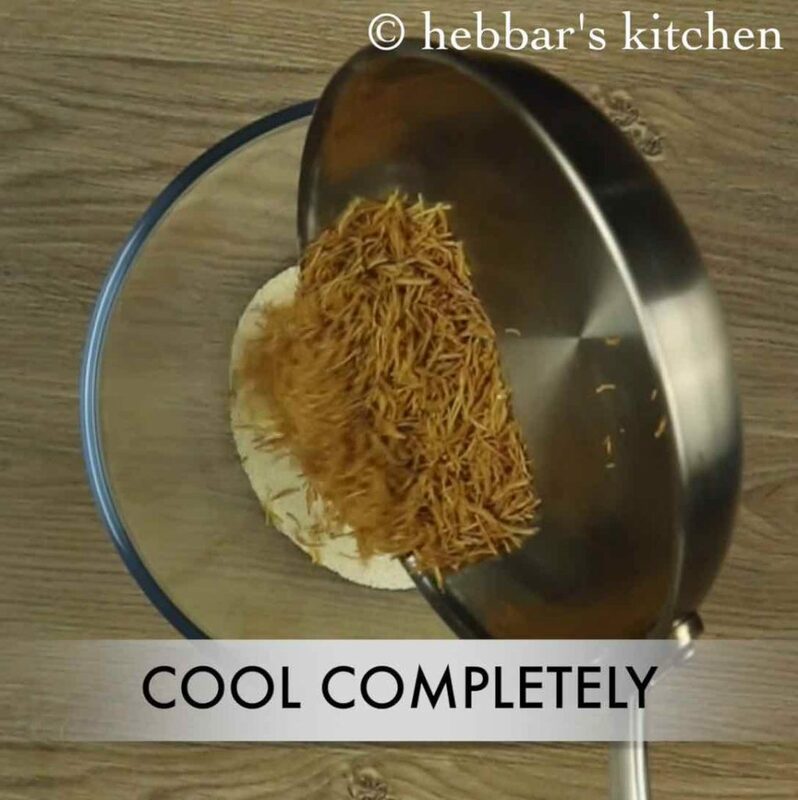 transfer to the same bowl and cool completely. additionally add curd. 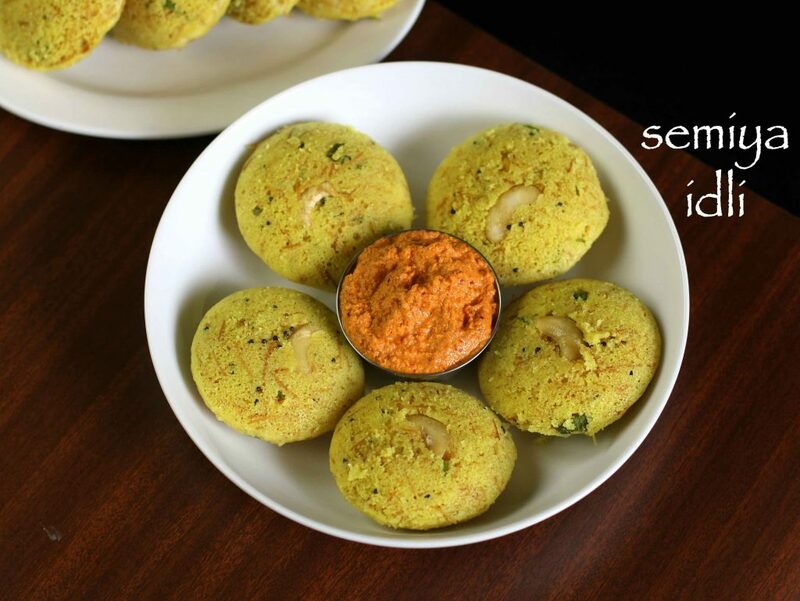 use slightly sour curd for more rich flavour in semiya idli. meanwhile, prepare the tempering by heating oil. add mustard seeds, urad dal, chana dal and hing. additionally add salt and mix well. 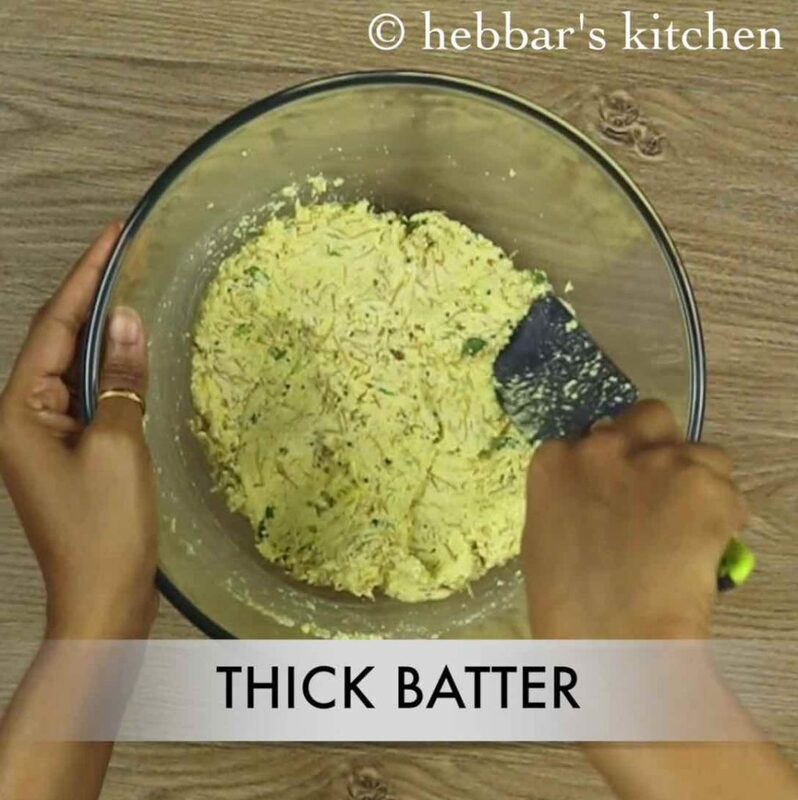 mix and make a thick batter. 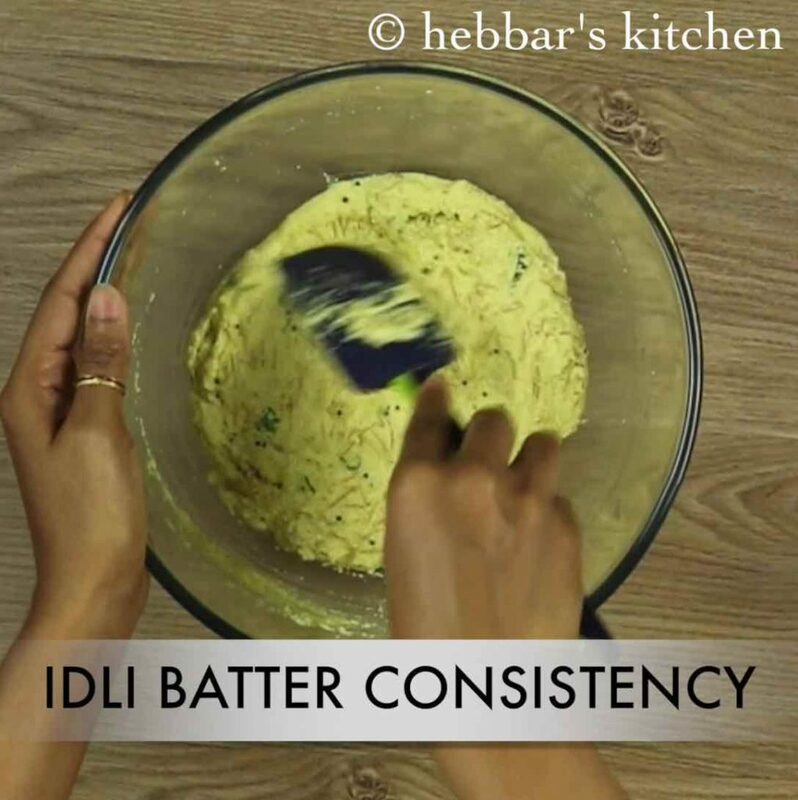 get the batter to idli batter consistency. 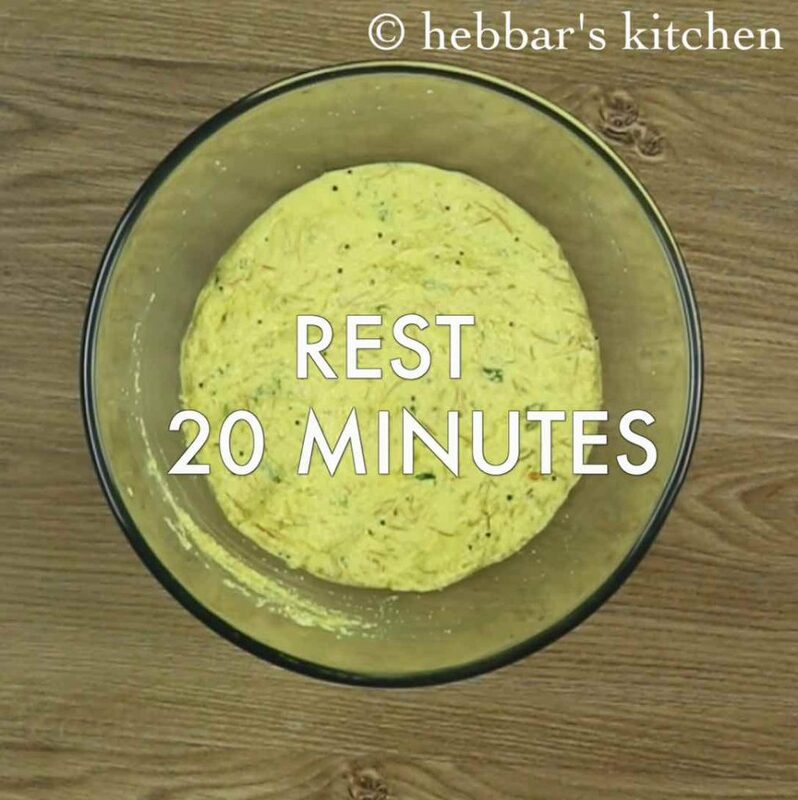 rest the batter for 20 minutes so that rava absorbs moisture. 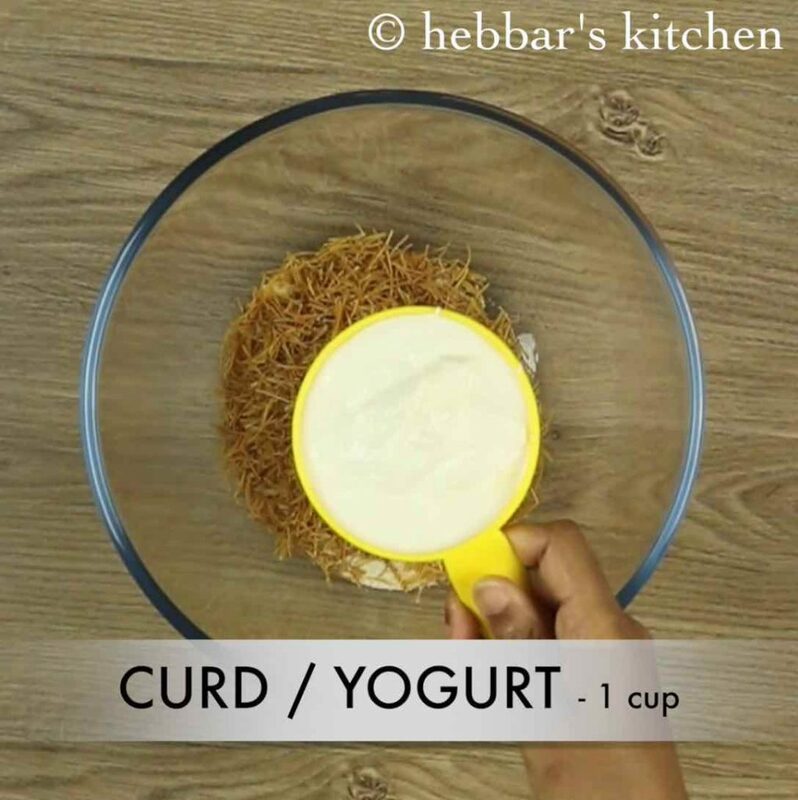 mix the batter and adjust the consistency adding water or curd if required. just before steaming add a pinch of baking soda and mix well till it turns frothy. avoid using soda if serving for kids. 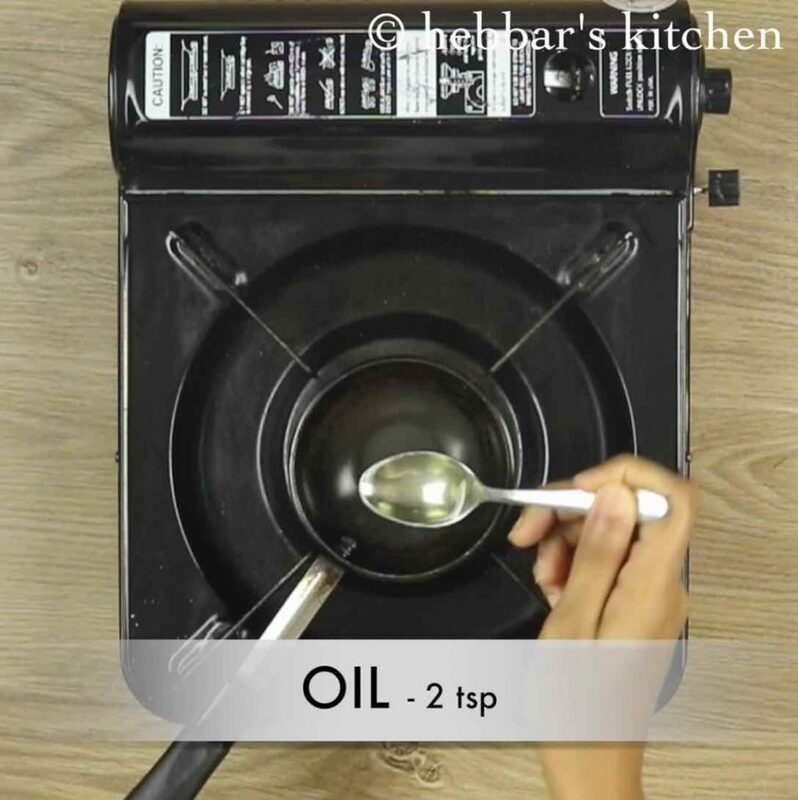 grease the idli plate with oil and place cashews in centre. also remember, to roast rava and semiya well, else they the idli will turn sticky and hard. 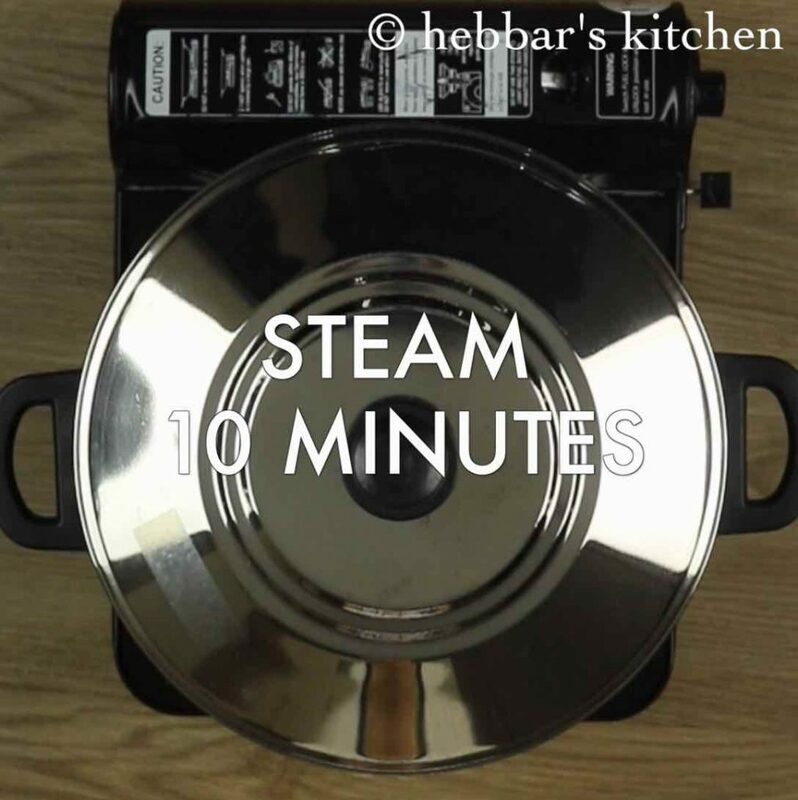 finally, steam the semiya idlis on medium heat to get the soft idlis. 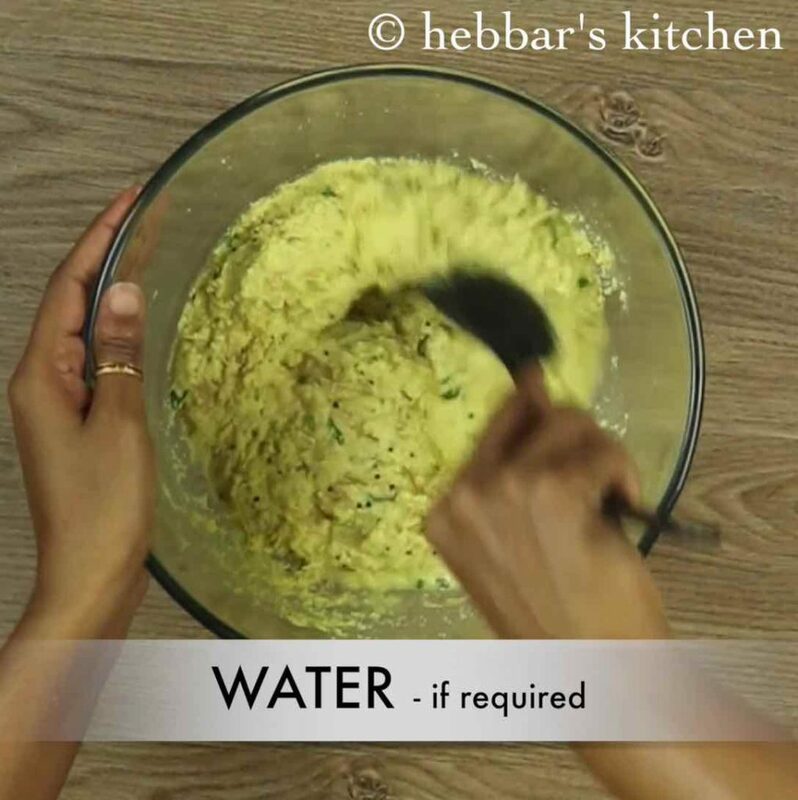 thanks Mrs. Hebbar, but how to make the onion and tomato chutney you mentioned in the video? 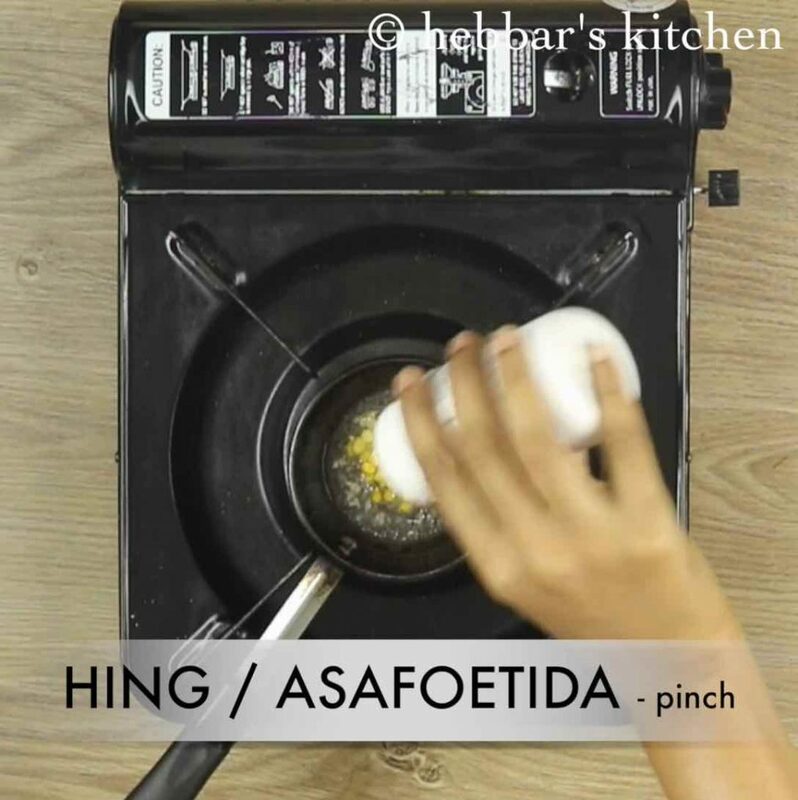 What is the gas stove that you are using? add eno or soda just before steaming..